Scrappy Doo. 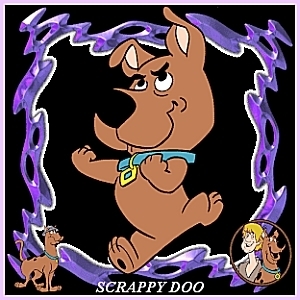 This is a picture of Scrappy Doo from the ngọn lửa, chữa cháy & Ice website:. Wallpaper and background images in the Scooby-Doo club tagged: scrappy doo scooby doo fire and ice fan art.